After a false start in Perth in early 2018, Australia will finally get to watch a homegrown UFC champion defend their belt. 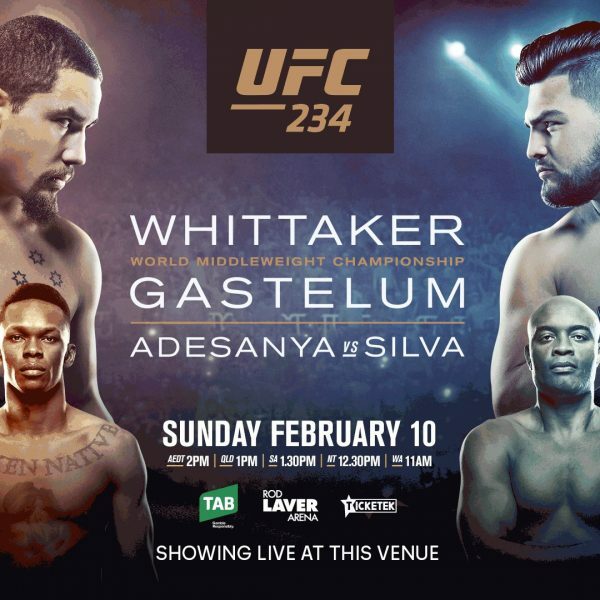 Middleweight king Robert Whittaker will take on Kelvin Gastelum at UFC 234 in Melbourne on February 10. Whittaker is looking to continue his reign as Australia’s first UFC champ, while Gastelum will be fighting for the belt for the first time in his career.